I love this blue dress! I think it would be perfect for spring and summer. 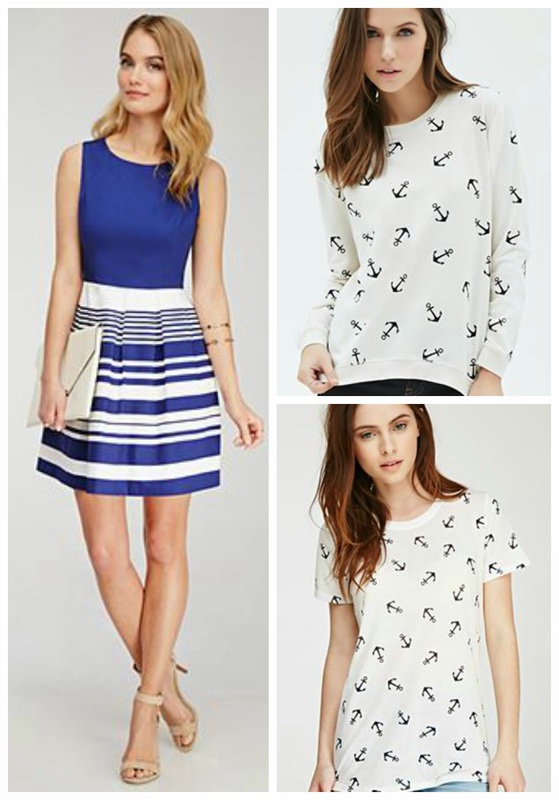 Dress it up with heels for a nautical wedding or go for a casual look with sandals. The anchor sweatshirt and t shirt will go great with jeans now and then shorts this summer. Darling! I find F21 items to be so hit or miss, size wise. Especially have found this with their shoe sizing so am always apprehensive to purchase unless is in store so can try on. I love the little whale motif socks!